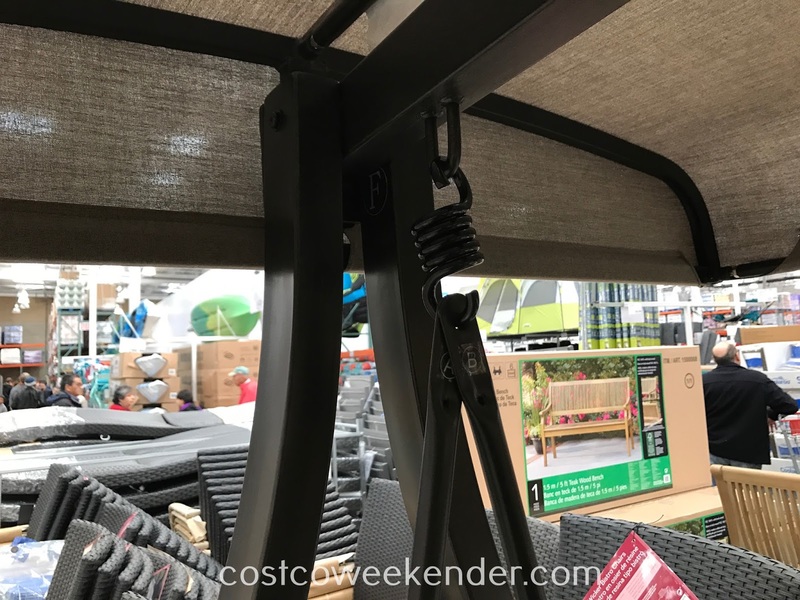 Sometimes it's nice to be able to relax outside especially when it's nice and warm. 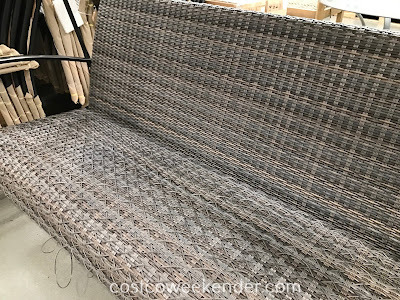 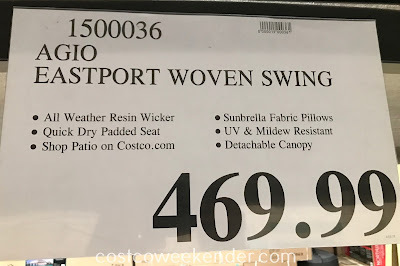 That's why it's a good idea to check out the Agio Eastport Woven Swing from Costco. 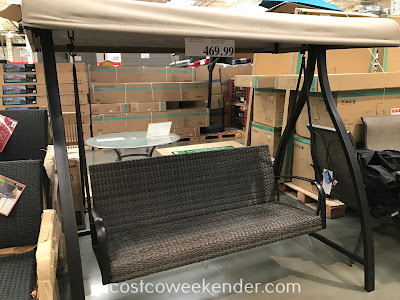 You'll look forward to lazy, Sunday afternoons in the comfort of this swing. 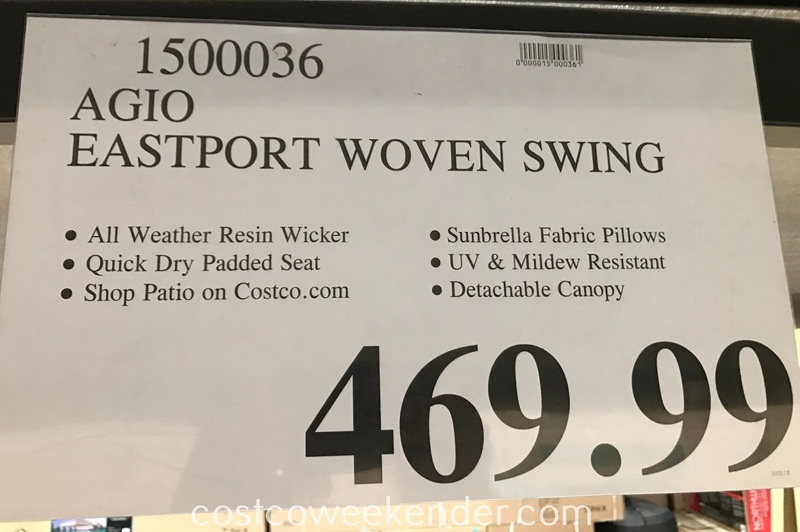 Not only that, but this swing features a canopy, so that you can block out the sun and stay cool in the shade. 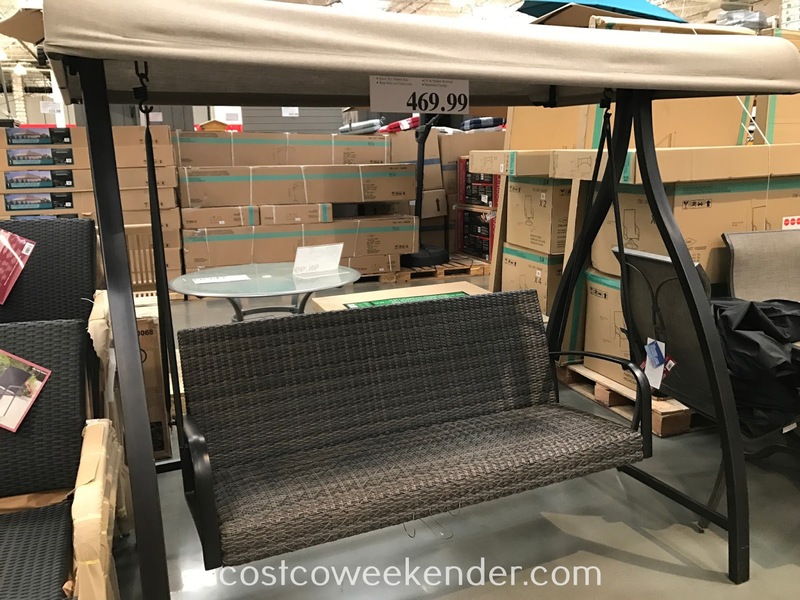 The swinging motion will make your life more peaceful and will go a long way in relieving some of that stress.